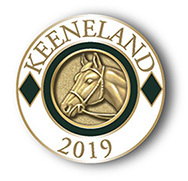 The Keeneland Club is a private members’ organization created for the benefit of patrons involved in, or who support, the Thoroughbred industry. Membership is by invitation only. Interested parties may complete a membership application which requires the endorsement of two current club members. New applications are held for one year before they are eligible for consideration. The Keeneland Club is at full capacity and new memberships are limited by the number of members who resign each year. The wait list for membership is extremely long and the majority of applicants will not receive an invitation for membership. All applications are reviewed by the membership committee once each year. An applicant’s participation in racing, buying and selling at Keeneland is a strong consideration for membership. Invitees will be contacted by letter. Please email Beth Goldenberg at BGOLDENBERG@KEENELAND.COM for additional information about the club. Members and patrons are encouraged to consider respect for Keeneland tradition, modesty and the comfort level of fellow members and patrons when choosing their attire. Members and patrons that do not adhere to the dress code and are unable to amend their attire, will not be granted access to the Clubhouse. Suits or sport coats, dress slacks, dress shirt with collar and tie. Dress shoes and dress socks. Clothing of comparable formality to gentlemen, including but not limited to skirts, dresses, tailored pantsuit or dress slacks. Denim – regardless of color, slacks that are designed to resemble jeans, shorts (including rompers), clothing or shoes that resemble athletic attire, abbreviated or revealing attire.